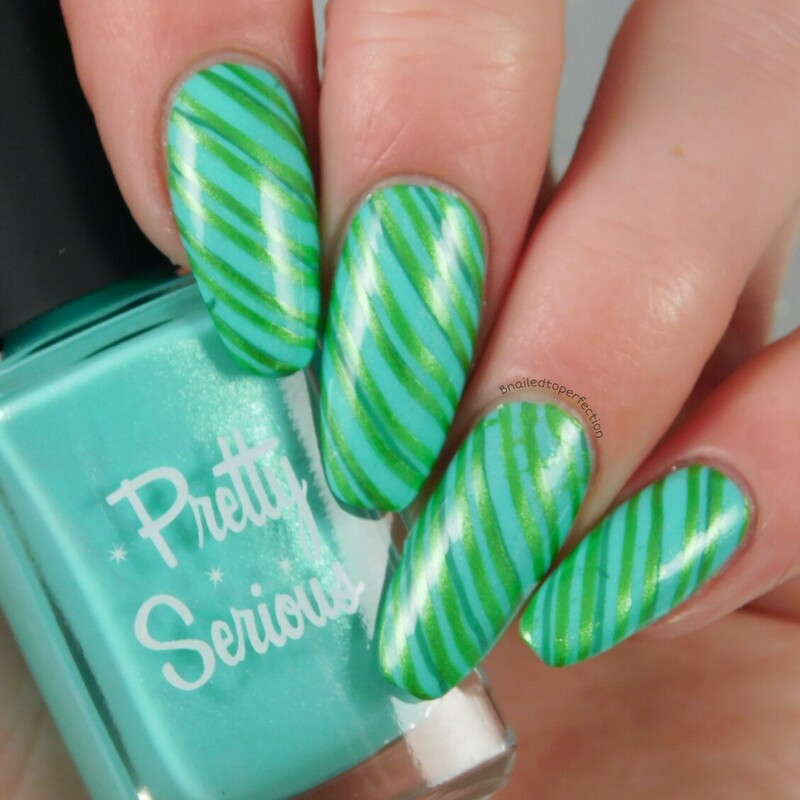 I've gone all green for today's post guys and it's for a good cause! On the 2nd of April, Guinness book of world records have accepted a bid to smash a world record down in London. The record is to paint over 6078 peoples nails in the colour green, to mark the 6078 people that lost their battle in the UK and ROI against a mental illness in 2015. The mastermind behind this all is a lady called Stephanie Staunton. She is a professional manicurist and this is a very personal venture for her. Stephanie is hoping, along with 350 other manicurists, that they will raise £30k for MIND and for Nailing Mental Health. Unfortunately I am unable to attend the event so that's why I did my nails in green today to help spread the word. The event will last 8 hours (see details above) and I really hope they smash the record! 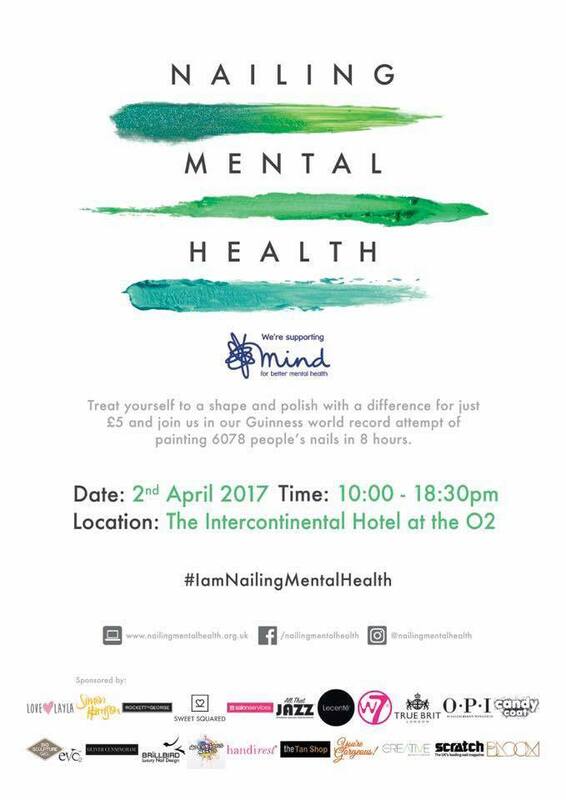 Once the event has taken place, Stephanie will be registering the charity Nailing Mental Health, and they will be helping people first hand pay for private counselling or therapy. The current waiting list is 12-18 weeks, which could be too long to help some people. 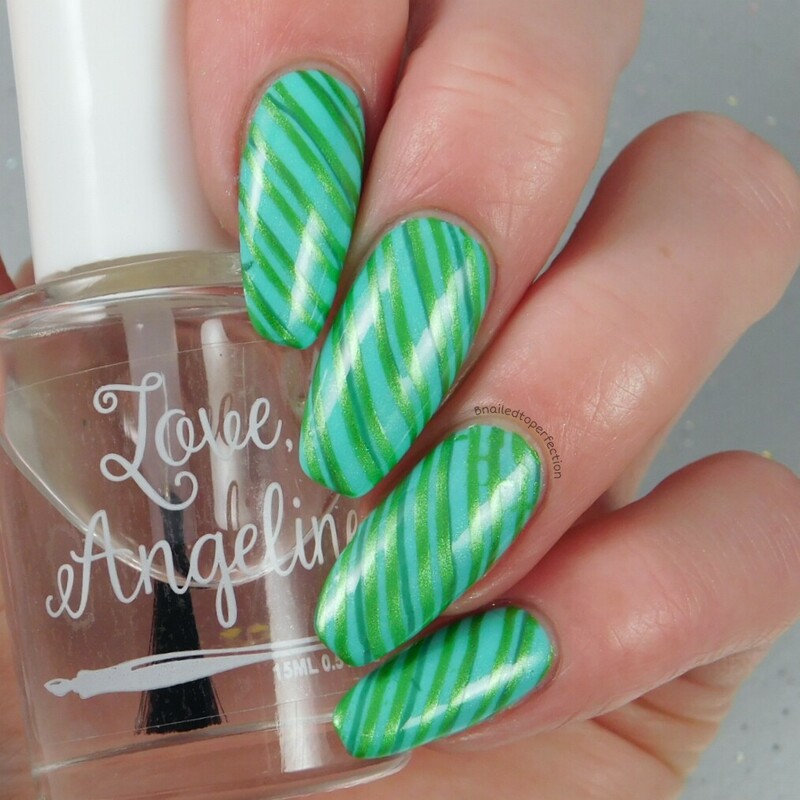 For my green mani I used a based of Stupid Cupid by Pretty serious and then I stamped with two different greens. The lighter one, Absinthe Minded, unfortunately ended up covering up the darker one, Concrete Jungle, but I thought it looked pretty cool still. The images are from Lina Stamping plates Feeling Shapely 01. Tickets for this event only cost £5. So if you are you are near the area on the 2nd of April, why not pop down to have a nice mani and it will feel even nicer knowing that your money is going towards a very good cause. I wish all the best to Stephanie and her team and I hope you smash it! You can check out Nailing Mental Health at the links below which also includes a fundraising page.